In our dreamworld, we would get a magazine every day of the year, and two on Christmas. We have been loving a new crop of digital magazines appearing on the horizon, or the desktop as it were. 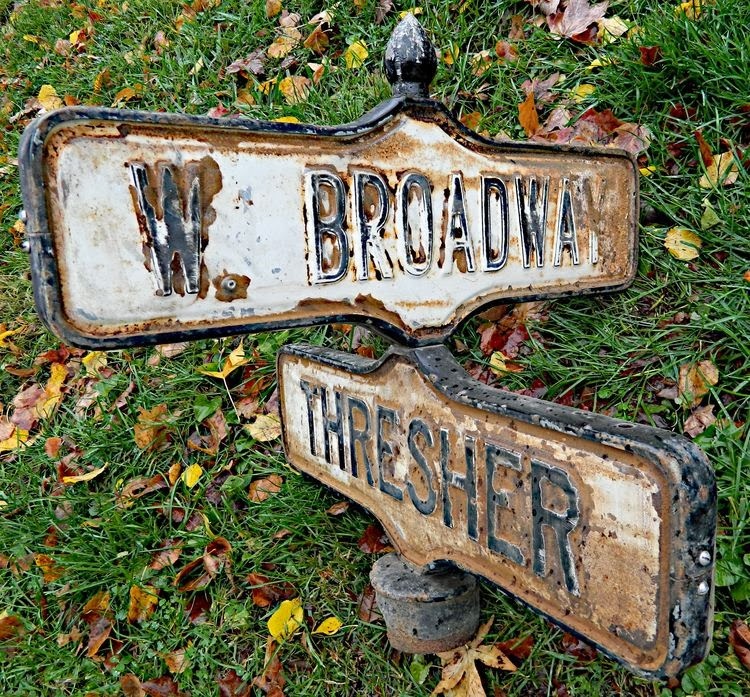 Today we are giving a shout out to Broadway + Thresher. We saw an early edition of this magazine and then promptly forgot the name of it. We spent weeks trying to retrace our steps to find it again! We succeeded. Andrew Kohn and David Gobeli both worked for magazine and often crossed paths. Like many a magazine worker they thought, "Hey we could do this." Kohn had worked in Washington, D.C. before heading to Ohio to open a bed & breakfast. Gobeli longed fro the bright lights and big city and when he got there, wanted a more pastoral life and found both in Madison, Wisconsin. Haunting a flea market, Kohn found an old street sign. When Gobeli saw the sign, their idea was cemented. Broadway + Thresher was exactly the lifestyle they wanted to convey. A modern, urban sensibility in the countryside. The best of both worlds, really. 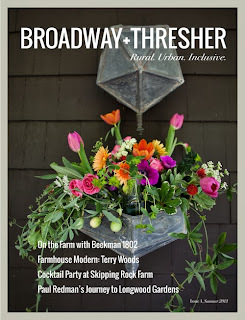 Broadway + Thresher has a bit of fashion, a taste of farming, a bite of food, a piece of art, and a cocktail or two. Who doesn't love that? Broadway + Thresher is using issuu, so there will be some slow loading. A subscription will cost you $20, but it is well worth it. The Preview issue as well as Issue 1 can be viewed for free to get a feel for the magazine. After that, you will simply have no reason not to subscribe.